Do you need a suitable outdoor supply? Every year you drive around the neighbourhood and see so many houses decorated in festive lights, This year it’s your turn to inspire someone else. But before you start hanging lots of lights all around your home and garden, there are some things you need to consider. • One of the most common ways fires start is overloaded sockets. Never use more then the socket outlet your plugging into, if your using extension do not use more then the extension is rated. The normal capacity for a power point is up to 2,900 watts so be mindful of how much load you’re placing on the point. • Never turn them on while still in the box – even if you just want to test them. 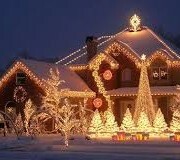 • Always use lights intended for outdoors outside and under no circumstances use interior lights outdoors. 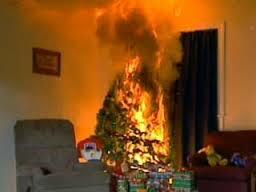 • Do not install them near anything that could catch fire Curtains, decorations etc. • Try to use plastic hooks to mount your lights instead of nails, staples or screws. • Never extend a set of lights to another unless they’re designed for that purpose. • Always put transformers and light changing controllers indoors to keep them protected from the elements unless they’re designed to be use outdoors. If you need more advice or require additional power points, get in touch with Intelec Electrical Contractors & have a safe festive season.